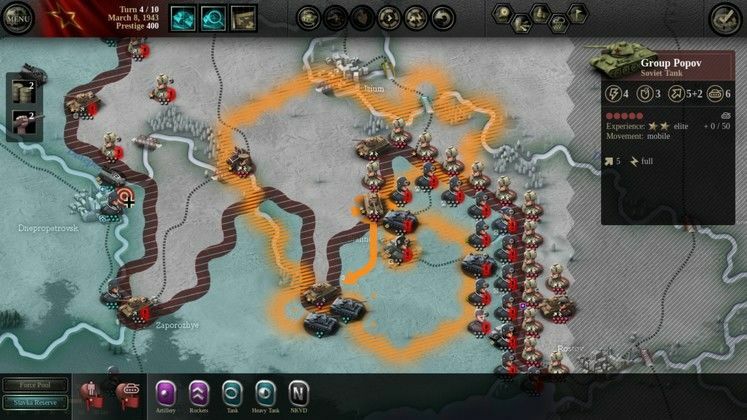 What are The Best WW2 Strategy Games? Given its tremendous global impact, WW2 has been often represented in all of pop culture's mediums. From books, to music and video games, the conflict that engulfed the entire world, as Allies took up arms against the Axis, has been a source of both fascination but also reflection. Similarly to how different video game genres use WW2 as a setting, developers have taken it upon themselves to present the conflict in a variety of strategy sub-genres. From all-encompasing wargame and grand strategy efforts, where players oversee all aspects of warfare, to those focusing on tactics and controlling a smaller number of men as you look after each of them, there are quite a few choices to pick from. Let us know what you think of our picks and if there are any others we might have missed. Slowly approaching its third decade of existence, Blitzkrieg remains a standard for WW2 strategy games. Nival's classic 2003 RTS not only features a good number of units and vehicles specific to the time period, but pays attention to details such as different tanks' armor thickness and proper range of infantry rifles. Blitzkrieg lets players take control of either Allies, Germans or Soviets, as they duke it out across a number of different seasons and terrain, employing over 200 kinds of vehicles and more than 40 infantry units. Building bridges, preparing mine traps, resupplying and repairing units are all vital for your effort. 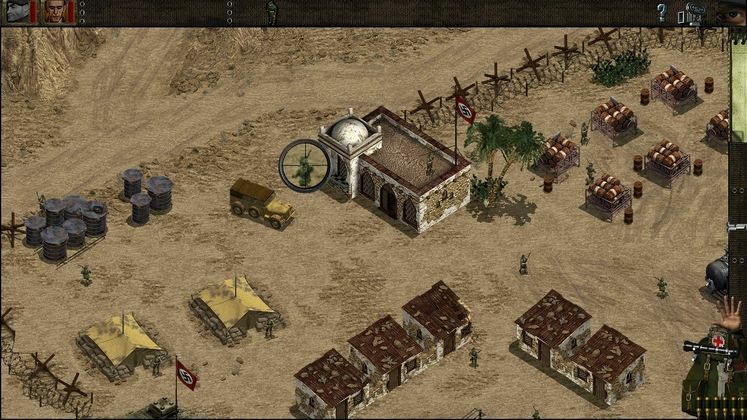 As with many other classic RTS titles, the game also comes with a mission and resource editor that lets players craft their own missions and "what if" WW2 scenarios. Commandos: Behind Enemy Lines steps away from the grand scale of WW2, focusing on six specialized operatives taking on high risk missions in areas filled with enemies. Instead of massive firepower and rolling through enemy encampments using tanks, players must employ stealth, subterfuge and precise tactics to sabotage the German war machine. Despite being constantly outnumbered, each of the specialists in Commandos: Behind Enemy Lines comes with their own set of distinct abilities which lets them make their own path through the missions. Co-operation is an important aspect of the real-time title, as sometimes one of your commandos will have to rely on a buddy's quick reaction, lest they get spotted and filled with lead. Tense moments like these, alongside the interplay between the different skills make Commandos: Behind Enemy Lines a must-play real-time tactics WW2 title. 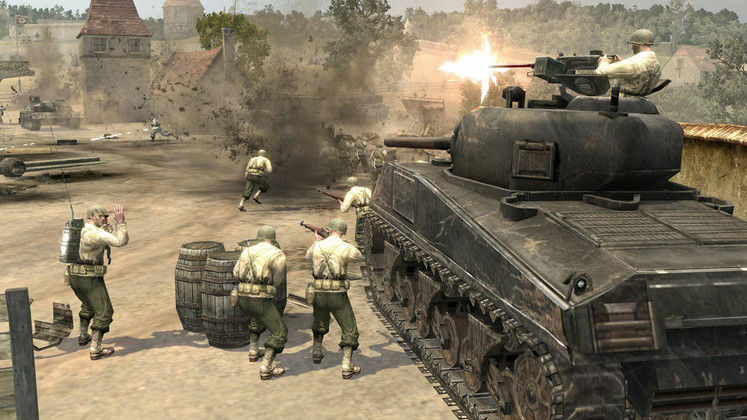 The original Company Of Heroes , released all the way back in 2006, saw Relic Entertainment leave a significant mark on the RTS genre. It played its cinematic card from its first moments, which follow the Normandy landings from up close, akin to an action game, before transitioning to a more familiar isometric view. This cinematic flair would translate into battles themselves which, for the time, featured some exquisitely detailed units and environments. Following the Allies through the main campaign met players with a varied cast of characters. The campaign faced players with different types of engagements, from full on offensives, to tactical advancements through enemy territory and even desperate defenses. 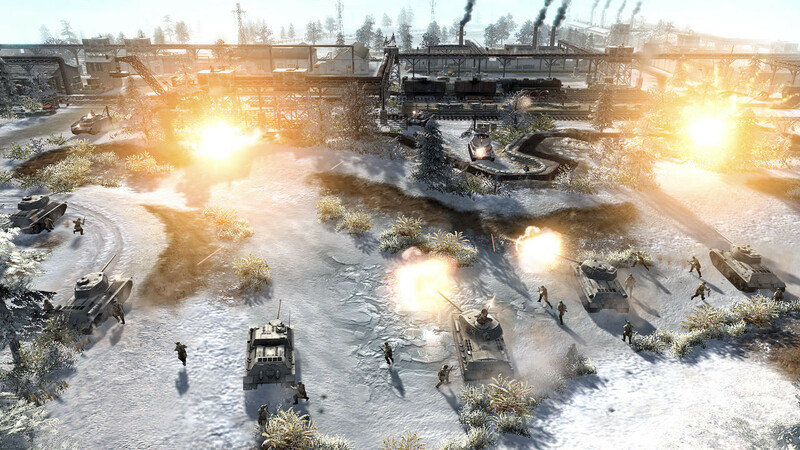 This variety was further built upon by Company of Heroes' cover system and destructible environments, which could alter the battlefield under a hail of explosions. A varied roster of units meant to fulfill different roles gave players a large number of tools for different situations, making for an engaging, strategic, yet action-packed romp through World War II. 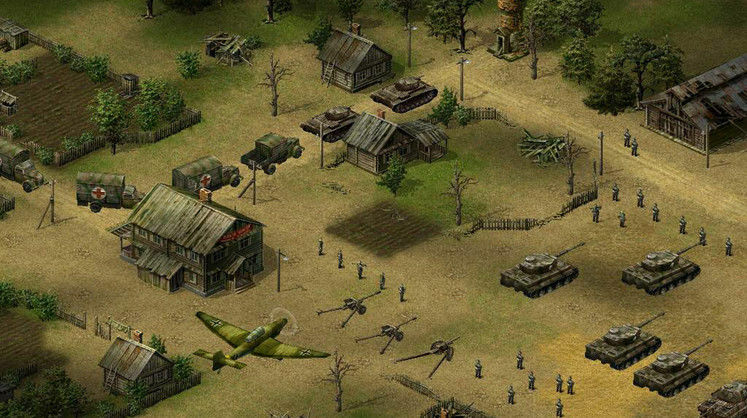 As gorgeous as it was gritty and visceral, the title easily cemented itself as one of the best WW2 strategy games. Released in 2010, Gary Grigsby's War in the East looks incredibly daunting at a first glance. From its massive tile-based map to its many menus, there's a lot to get lost in as you're exploring. 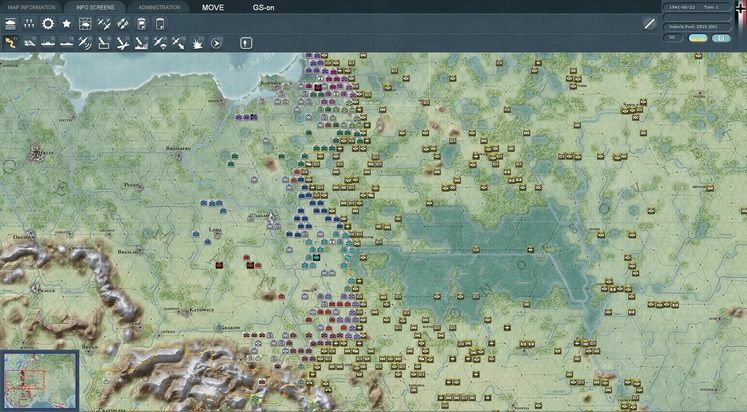 Spend enough time with it, however, and you'll discover an exceptional wargame which we couldn't ommit from our list of best WW2 strategy games. Focusing on the Eastern side of the conflict, the title includes five campaigns, each with a different starting point, that extend up to 1945. 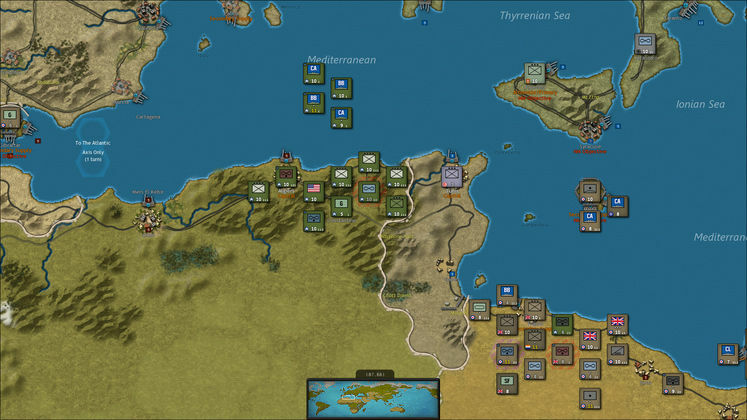 Gary Grigsby's War in the East also includes 11 shorter scenarios, as well as up to 4000 units and more than 500 historical commanders with their own promotion and rating systems. 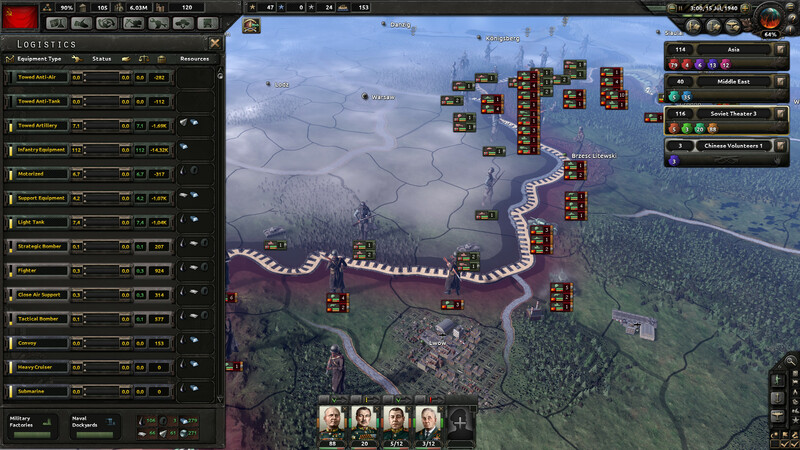 2016's Hearts of Iron IV is the latest entry in Paradox Interactive's long-running WW2 grand strategy series. Arguably the most visually accessible of its kind, the title puts players in command of one of several nations and all its associated might, whether political, seafaring, airborne, land-based or otherwise. Whether one of the major forces that took part in World War II, a smaller state or even a nation in South America, the title gives players a pretty free hand in terms of choosing who they play as. You get to control all aspects of running your nation, from recruiting troops to assigning orders, choosing doctrines, alliances and political currents. It's arguably one of the deepest WW2 strategy games out there, which requires a good chunk of patience from newcomers. And, while it offers a hefty dose of authenticity, Hearts of Iron IV also sets the stage for alternative histories, where Hitler didn't take control of Germany or Britain took up Fascism. 2014's Men of War: Assault Squad 2 makes our list of best WW2 strategy games due its dedication to realism and closer focus on individual units over its previously-mentioned peers. Instead of diverting attention to base building, the title emphasizes tactics, unit positioning and control. Being aware of how tanks are positioned, or the physical obstacles potentially blocking the path to your target are decisive factors in determining whether a hit lands or misses. Men of War: Assault Squad 2 goes for a more intimate approach which really lets players connect to their units, as they select ammo, decide when to hold fire or not and even get into third-person mode to land precise sniper shots. Not only that, but it comes with 25 reworked scenarios from the original Assault Squad, alongside a vast amount of improvements. Panzer Corps gives players a good taste of classic turn-based strategy gameplay, as they take control of various military outfits from the Axis side. The title boasts over 800 unit types, as well as a core retinue that remain with players throughout the campaign, gaining experience and being customizable with different technology as it gets unlocked. If the initial Panzer Corps serving isn't enough WW2 turn-based strategy for your taste, DLC expands the game with campaigns focusing on Rommel's Afrika Korps and even the Allies. 2017's Steel Division: Normandy 44 nudges real-time WW2 strategy games into a direction of its own. Largely thanks to its three-phase approach to battles, where units unlock over time, "mimicking the movements of real-world armies", the title puts players into battles where owned ground dynamically shifts, as the battle ebbs and flows towards its inevitable conclusion. 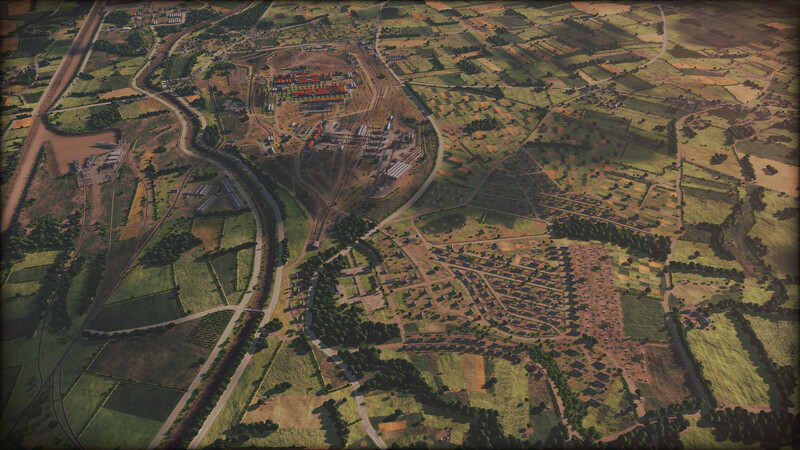 With a focus on not just troop handling and management, but also battlegroup composition and coordination, Steel Division: Normandy 44 emphasizes unit importance, while giving players the ability of quickly switching between a broad aerial view to close-ups of a single unit. Its mixture of infantry, aircraft, tanks and support vehicles are complemented by several historical personalities that can be deployed in battles. Despite being released just last year, Strategic Command WWII: World At War is yet another excellent example of a blast from the past, as far as WW2 strategy games go. Donning a simple, but effective, visual style, the title lets players partake in strategic battles that span the entirety of the globe. From its Grand Campaign, beginning in 1939, to its shorter scenarios, Strategic Command WWII: World At War mixes ground, aerial and naval combat with diplomacy and strategic events that give players plenty of leeway in how they approach their take on WW2. 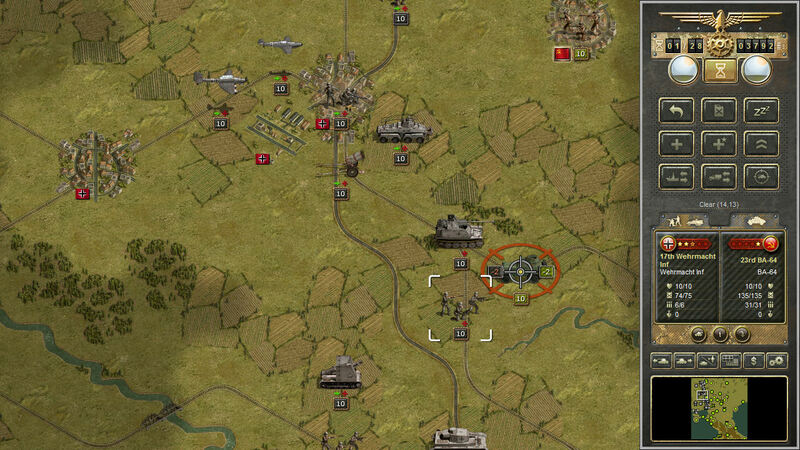 Unity of Command: Stalingrad Campaign is one of the more focused entries on our list of best WW2 strategy games. The 2012 wargame covers the Stalingrad Campaign that took place between 1942 and 1943 on the Eastern Front. Unity of Command: Stalingrad Campaign lets players take control of both Soviet and Axis troops, as they push and hold lines in massive turn-based battles. Behind the scenes, logistics and resource management are key to sustaining your troops, while unfavorable weather can act as a serious obstacle.